This two products work brillantly together but there are few things we need to get full integration between working as you would expect. 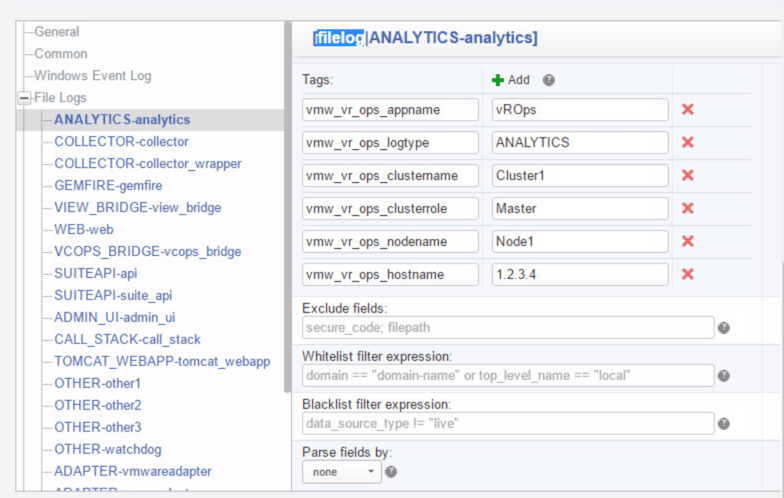 Download the PAK file and save to a location where it can be uploaded to the vRops cluster. Now that all vRops side of things has been configured. Go to Log Insight and log in as an admin user. 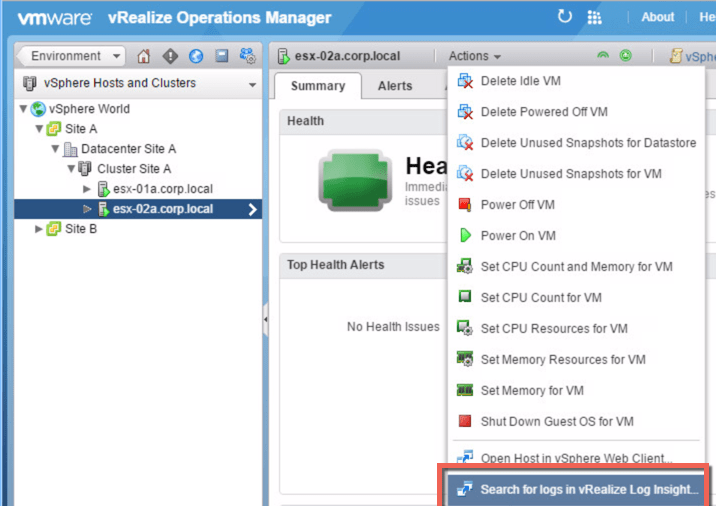 Then under Administration (three small lines top right corner), go to vRealize Operations in the right hand column. Then add in the details of the vRops Master node, and the user details created for this access, in my case I have a local user in vRops called Log Insight. Save the settings and it will go through a few minutes of configuring the integration into vRops, and it will return a success message. 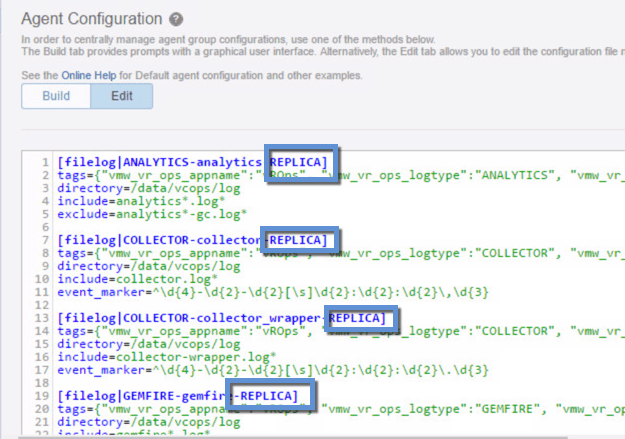 Test integration by browsing to a relevant object in vRops and ensure the “Search for logs in vRops in vRealize Log Insight” is shown and will launch an instance of LI when clicked on. 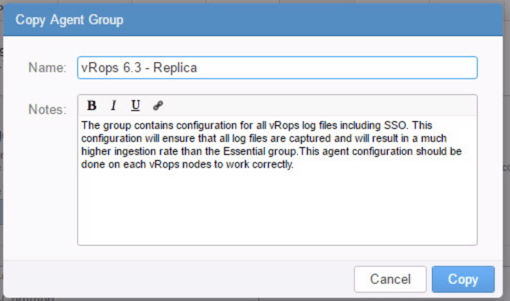 This is the second step required now to send syslog from vRops to Log Insight. Thankful this can be easily achieved from LogInsight without digging into the vRops config. This is helped by the fact vRops already has installed the Log Insight agent. 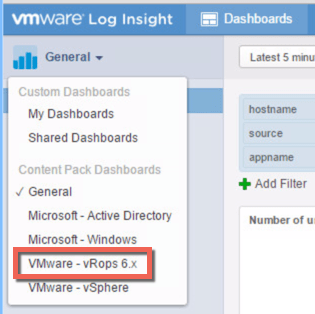 First step is to install the vRops Log Insight Content pack which will provide vRops dashboards and standard agent configuration files. 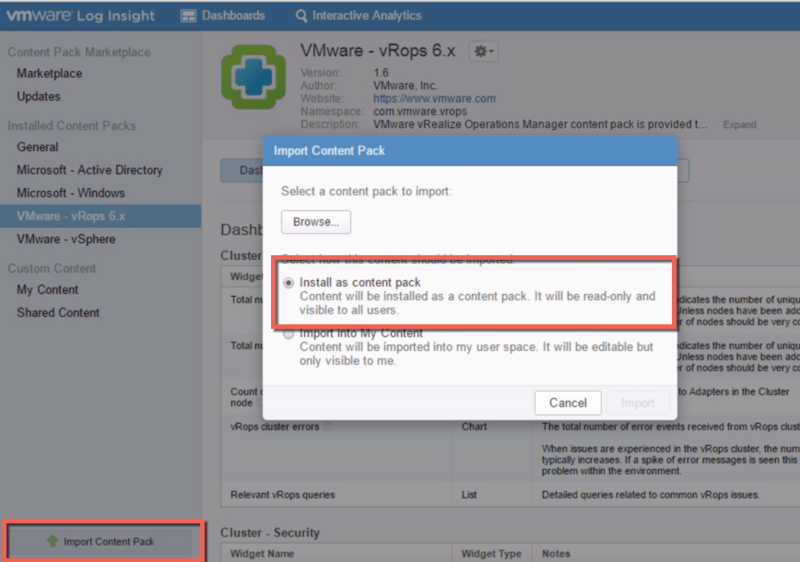 So if your Log Insight cluster can connect to the internet, open up the Content Pack menu under the three small lines in the top right corner, under Market Place find the vRops content pack and go through the steps to simply install this. If you don’t have install access, the content pack can be downloaded from Solution Exchange, as a vlcp file. Once download in LI, open up the Content Pack menu and choose Import Content Pack in the bottom right corner and browser to find the VLCP file downloaded from Solution exchange, then follow through the wizard to install. (note it is already installed in this environment which is why it shows in the right hand menu. 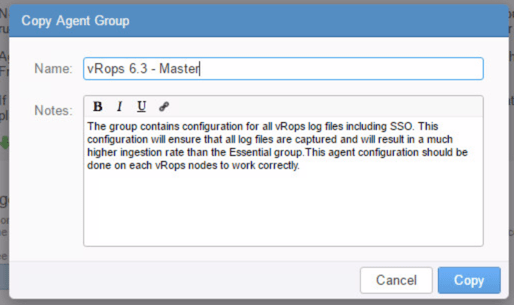 So create a new Agent group and give it a useful name, in this case will be for vRops 6.3 – Master for the Master node. These settings now need to be set on all File Logs. (It can be quicker to go into to the Edit mode, copy the content to notepad and do a find/replace and then copy it back to the Edit mode screen!). Then at the bottom of the Agent Configuration, choose Save Agent group. It maybe that LI Agent is not talking to vRops, so you may need to initially update the LI Agent on the vRops Server. Connect via the console to vRops and log in with root (if you have never done this before the password is blank and it will prompt for a reset). Then browse to to/var/lib/loginsight-agent/, use VI to edit the liagnet.ini file to amend the hostname, proto, port and ssl options to allow communication to talk to the Log Insight cluster. 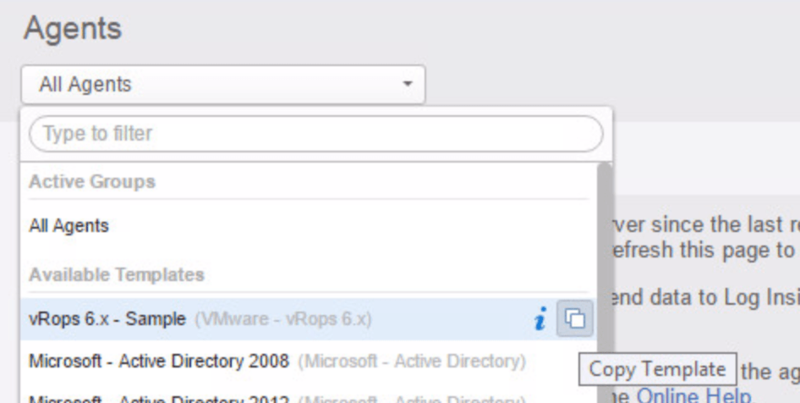 What if you have multiple vRops Nodes. 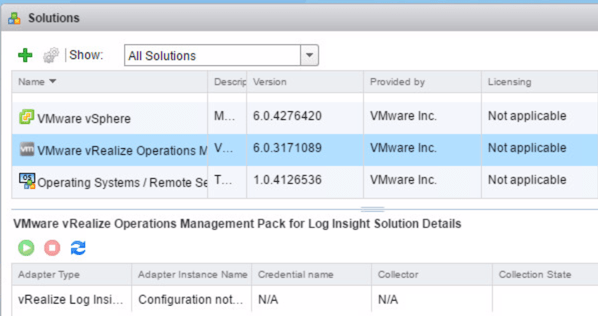 Tagged LogInsight, vRealize Operations Manager, vROPS, vSphere6. Bookmark the permalink.